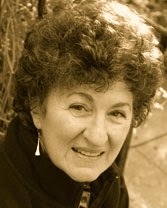 A Year of Being Here: Chana Bloch: "The Joins"
Kintsugi is the Japanese art of mending precious pottery with gold. like any cup on the shelf. just so he could mend it. "The Joins" by Chana Bloch. Text as published in The Southern Review (Winter 2014). Curator's note: Kintsugi is the Japanese way of honoring and repairing broken ceramic objects with a special lacquer mixed with silver, gold or platinum. It's an embracing of the flawed or imperfect, honoring it as essential. As the artist Barbara Bloom writes, "[Japanese kintsugi artists] believe that when something's suffered damage and has a history it becomes more beautiful." 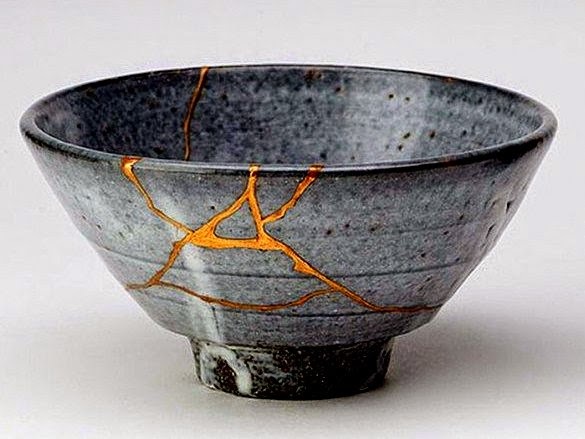 Art credit: A bowl restored the kintsugi way by Morti and Patty at the Lakeside Pottery and Ceramics Restoration Studio, image by unknown photographer. That last stanza makes me feel very thoughtful, it seems applicable on a wider scale. Do we sabotage ourselves just to stimulate more creation? Certainly a question to be very mindful of, yes?